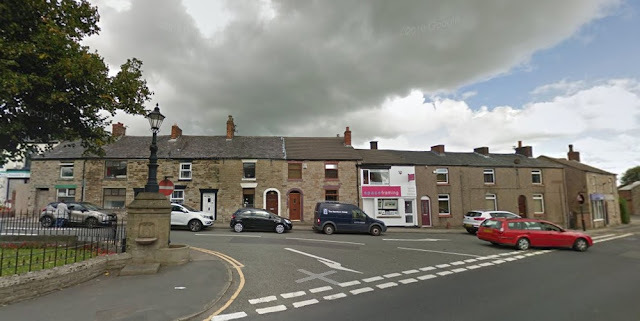 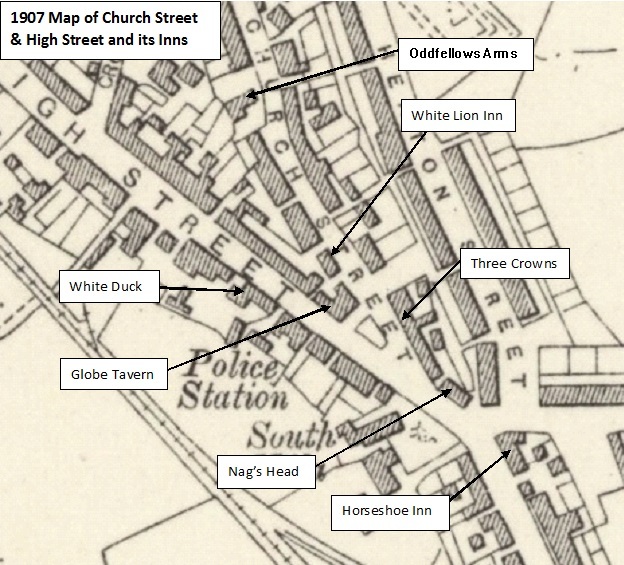 The Three Crowns Inn first opened in the 1860's and was a beer house located in one of the old stone terraced cottages at the end of Church Street near its junction with High Street, as pictured above. 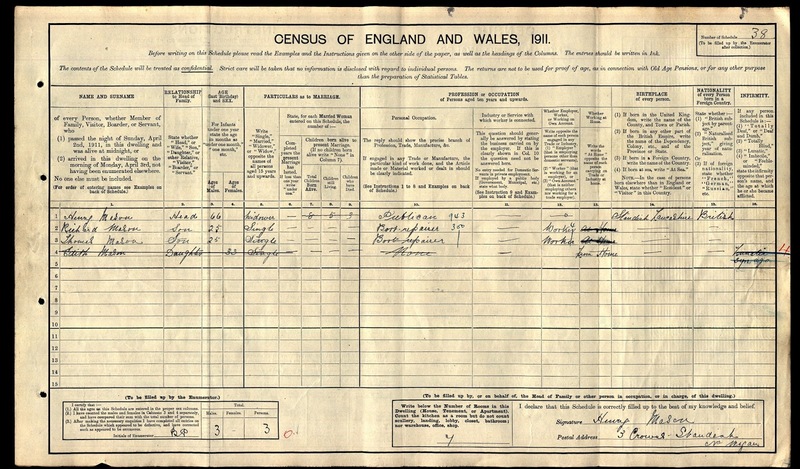 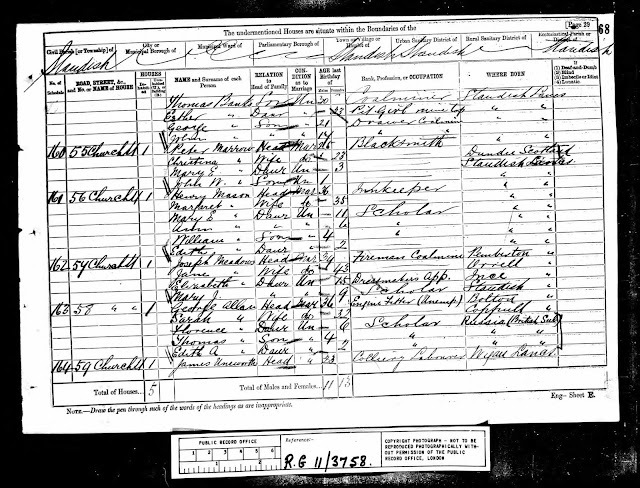 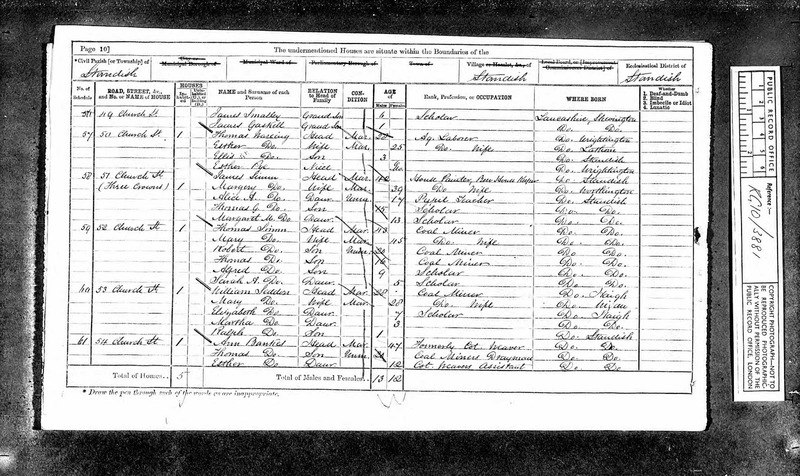 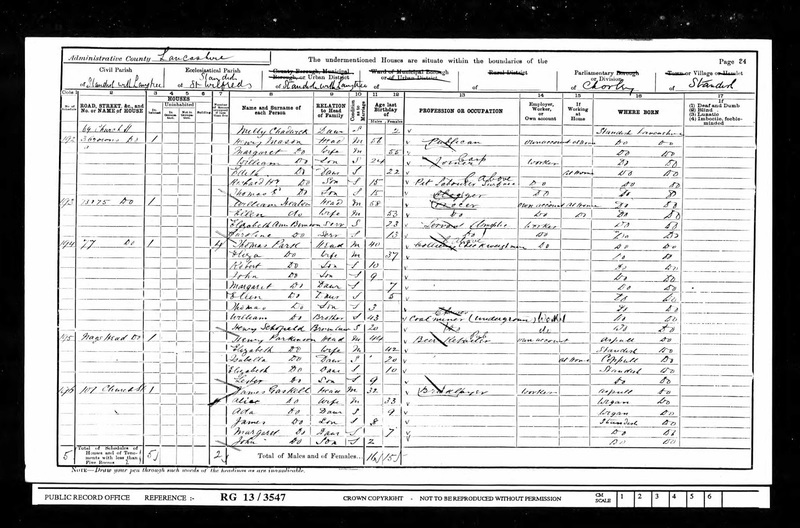 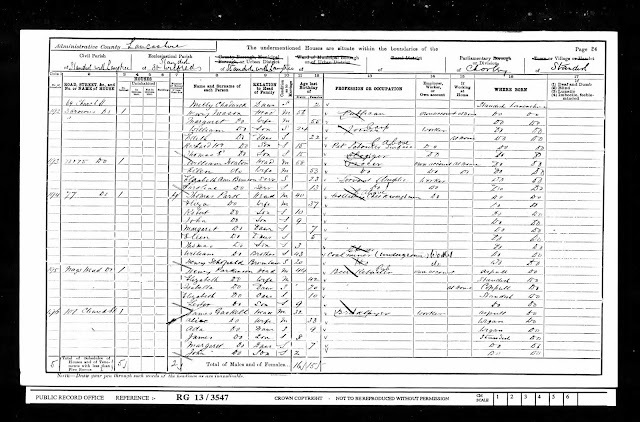 House numberings through the census records are rather confusing and place the Inn at numbers 51 (1871), 56 (1881 & 1891) and 71 (1901 & 1911). 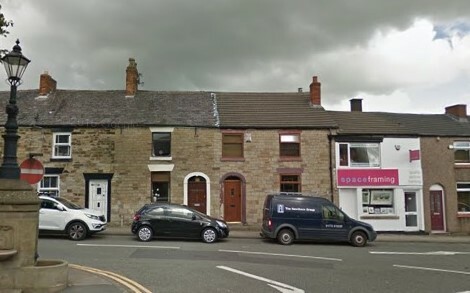 The 1911 census provides more detail than previous census records in recording that the Inn had seven rooms whilst the terraces either side had only three so I suspect the Three Crowns was actually a large end-terraced property that has been subsequently converted into two terraced house, 71 and 71a Church Street shown immediately to the left of the shop, "Spaceframing" on the photograph above. 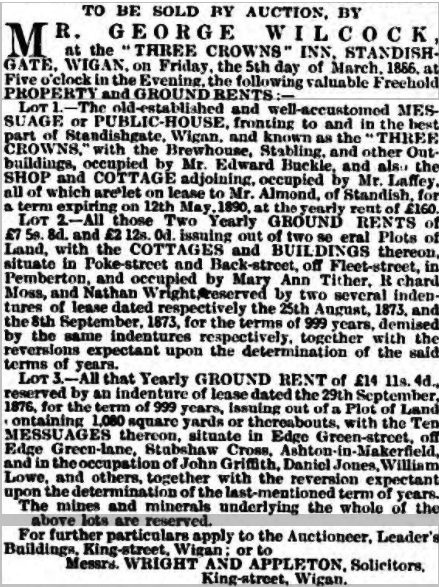 Listed landlords at the Three Crowns were James Simm (1868-74) and Henry Mason (1881-1911). 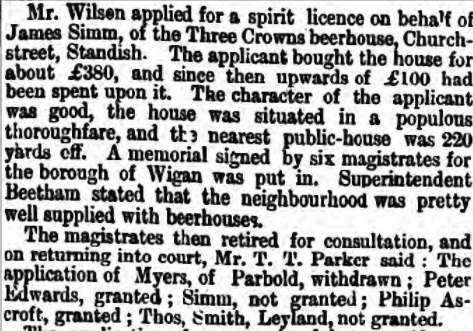 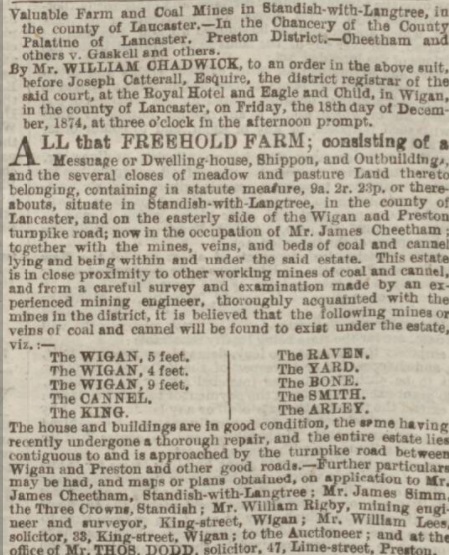 James Simm was originally a house painter by trade and after leaving the Three Crowns sometime in the mid-1870's he moved to Wigan where he ran a pub on Poolstock Lane in Ince and then moved to Pemberton. 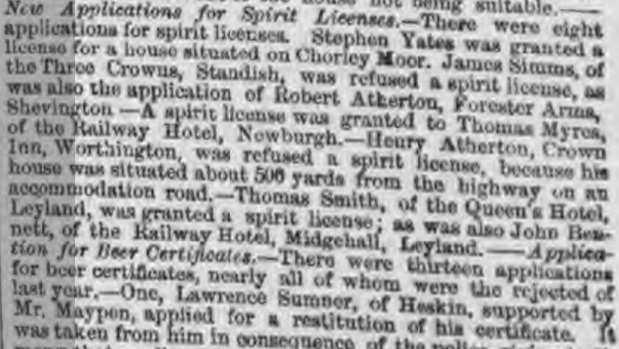 Henry Mason remained at the Three Crowns until it was closed for good when referred for compensation in 1911 and the licence removed. 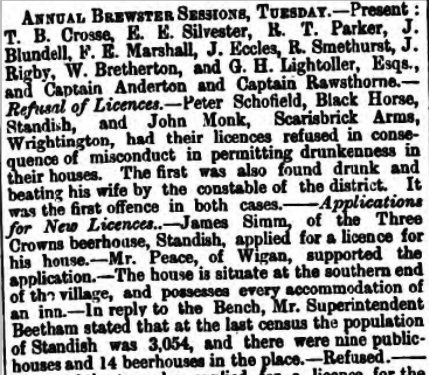 The Inn was one of the many casualties of the Licensing Act 1904. 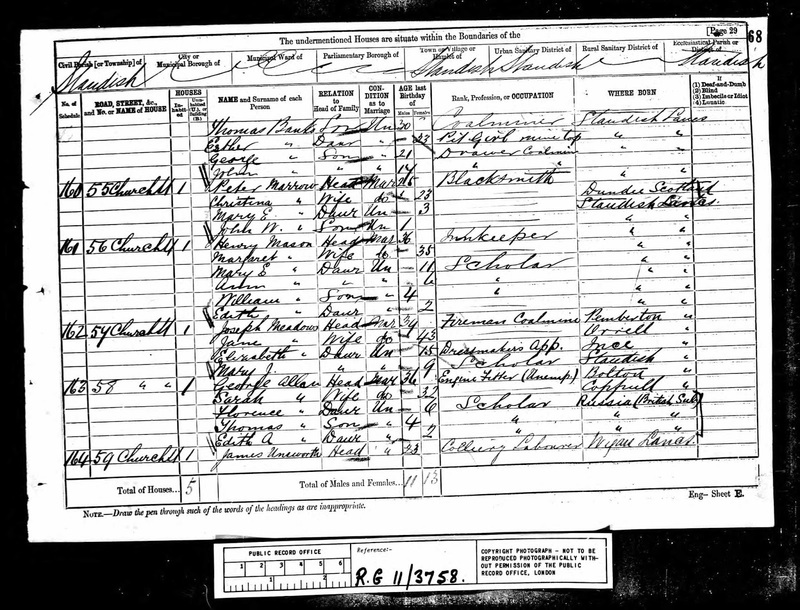 Henry Mason married Margaret Simm in 1873 who was James' cousin and it appears the Inn was kept in the family after James left. 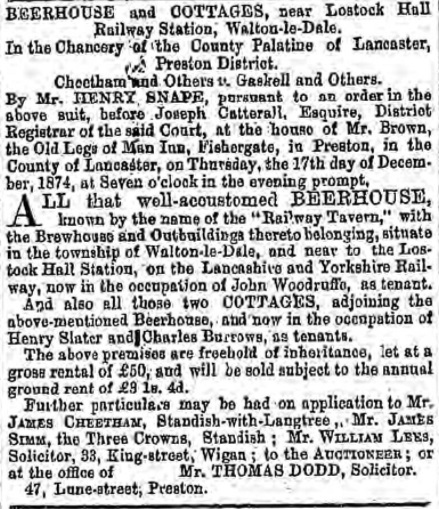 Henry Mason was the landlord for over 30 years and was a Standish man having been born and brought up in the village. 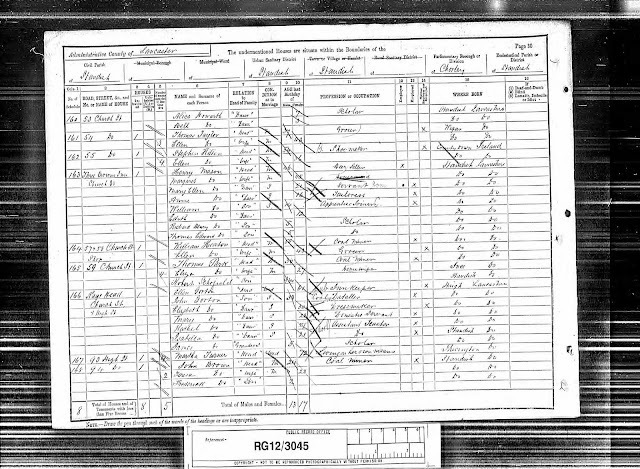 His father (also Henry) was a coal miner and they originally lived in Engine Row on Preston Road.